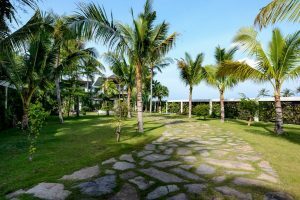 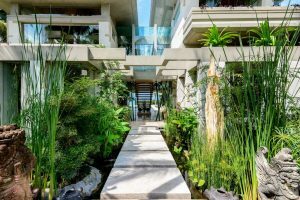 The compound of Villa Vedas is truly tropical and expansive. 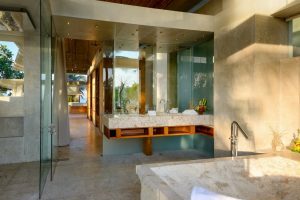 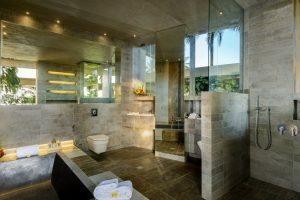 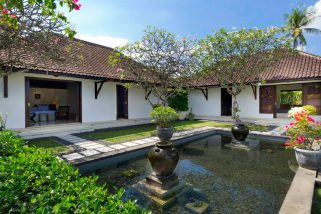 The villa boasts of several swimming pools, indoor Jacuzzi, a beautiful garden and several outdoor seating areas. 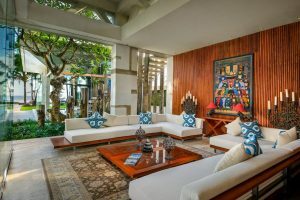 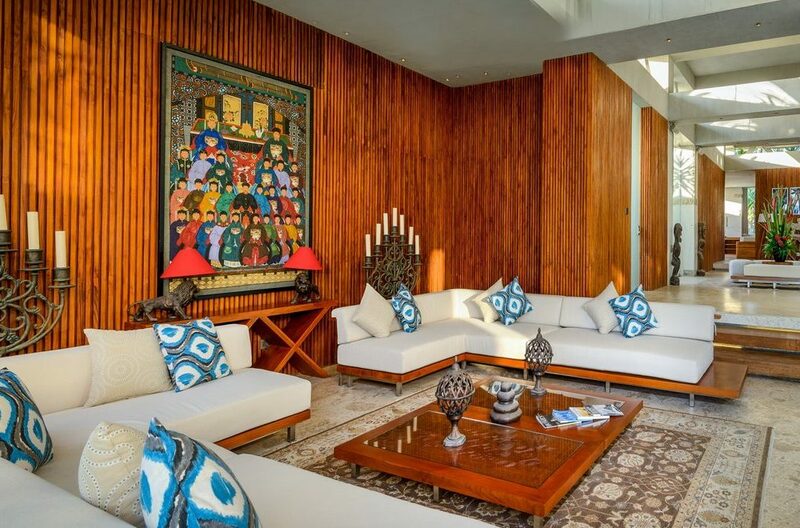 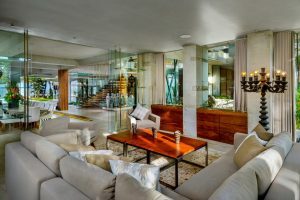 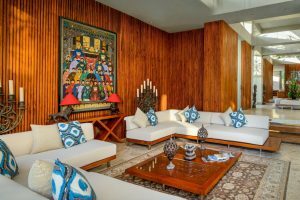 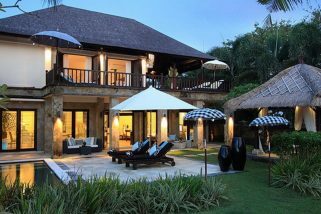 The villa also has several gorgeous living rooms fully furnished with comfortable sofas and satellite TV. 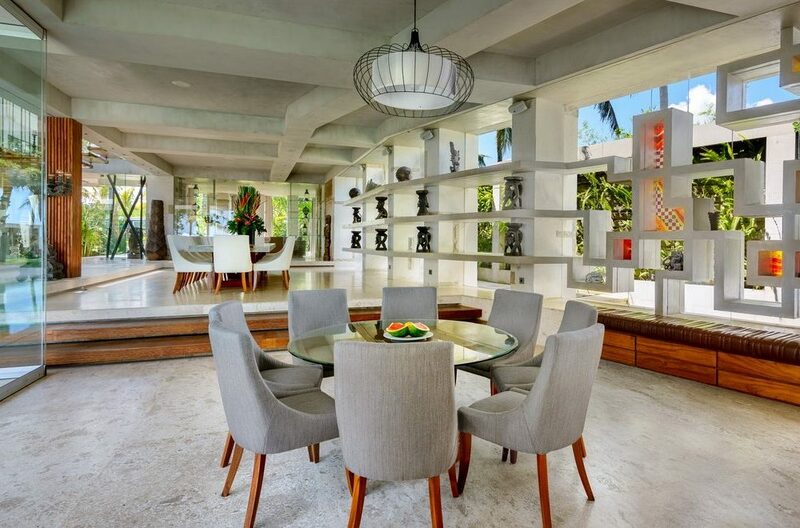 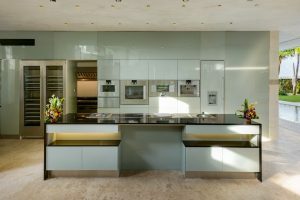 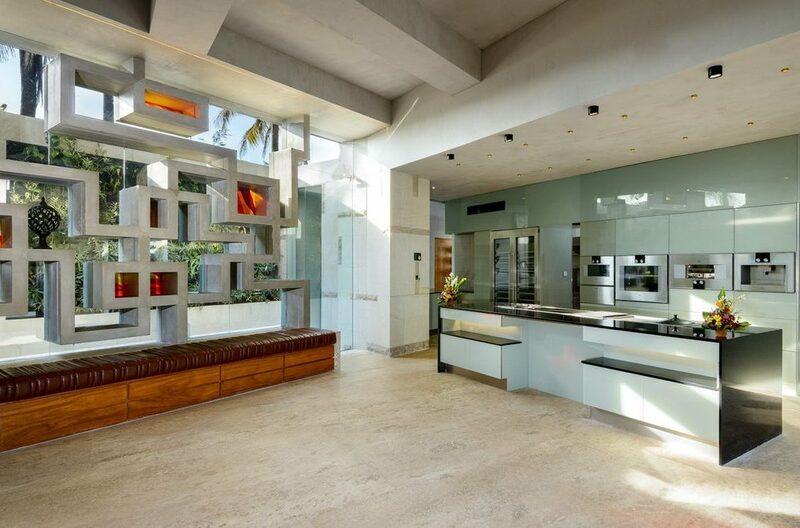 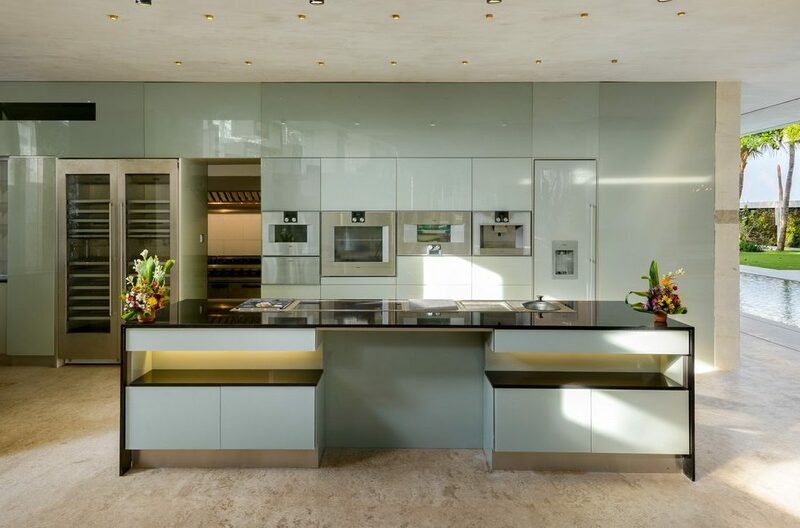 There is also ample indoor dining areas and a lovely modern kitchen. 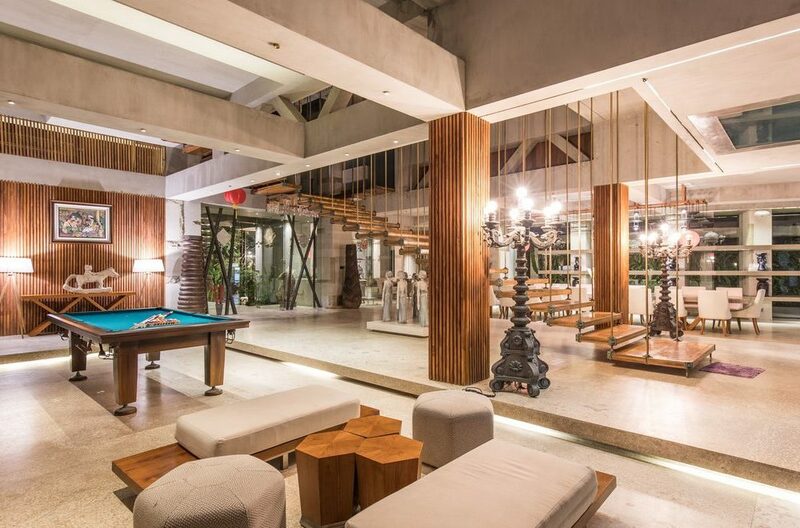 Guests also have a snooker table which makes for great indoor entertainment. 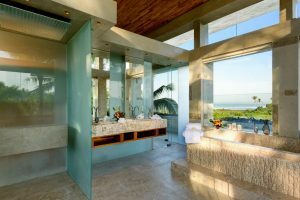 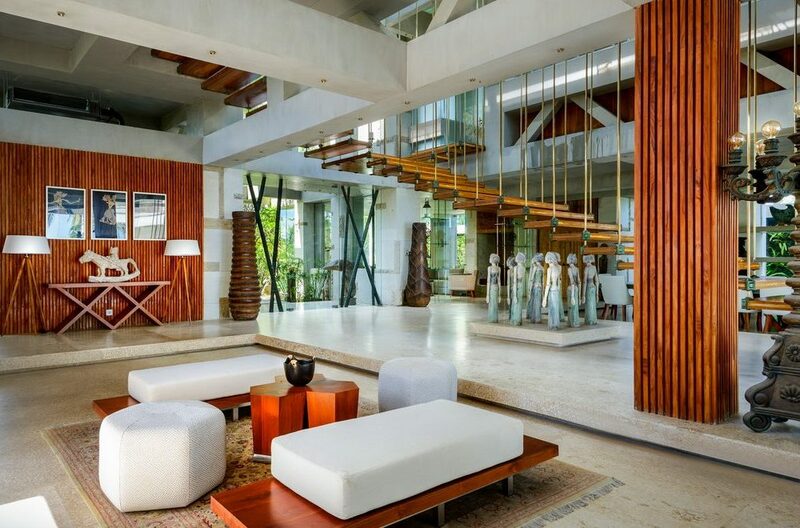 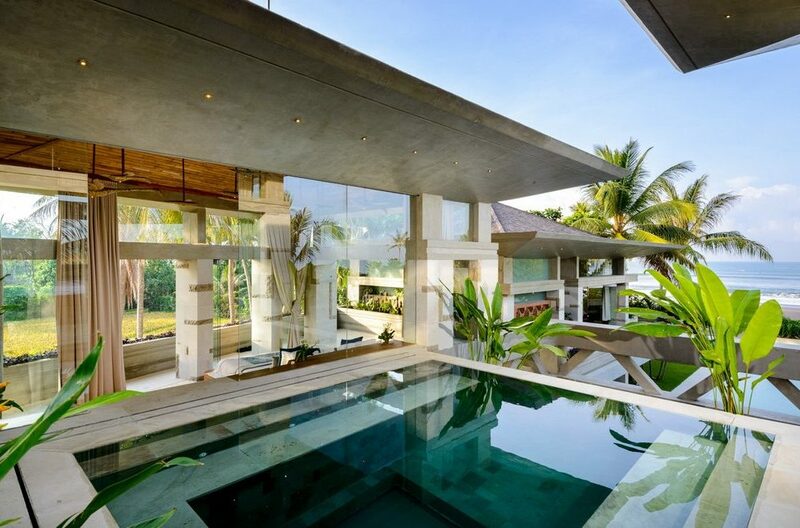 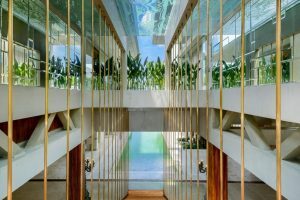 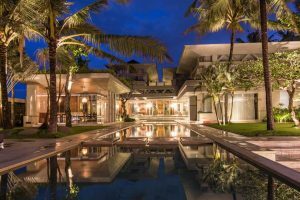 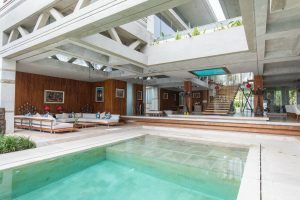 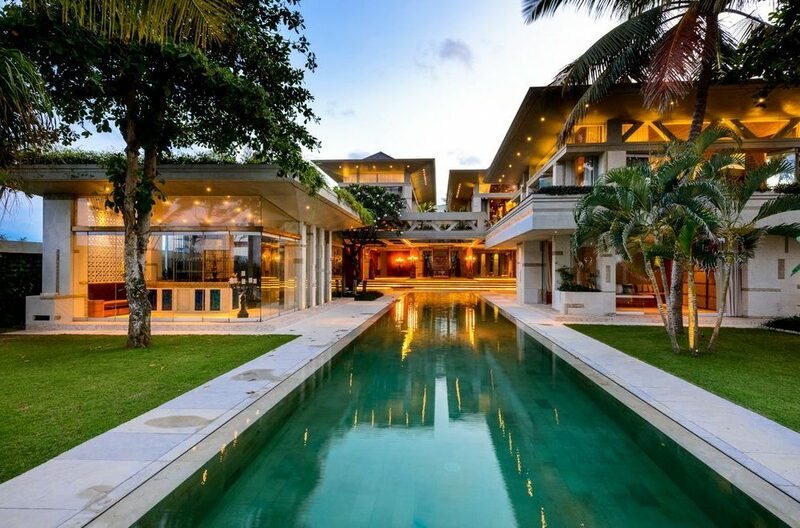 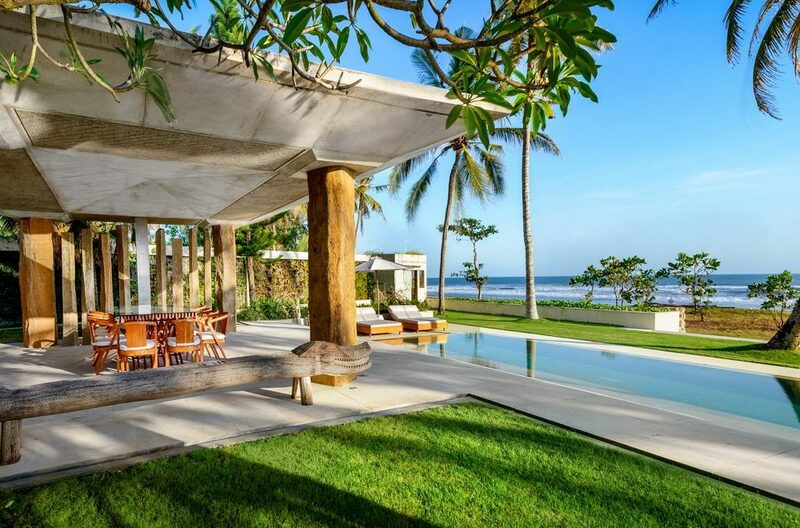 Due to the ample space of the villa, guests never feel crowded. 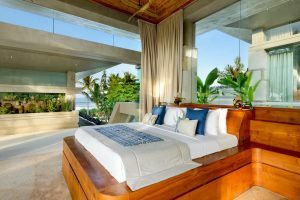 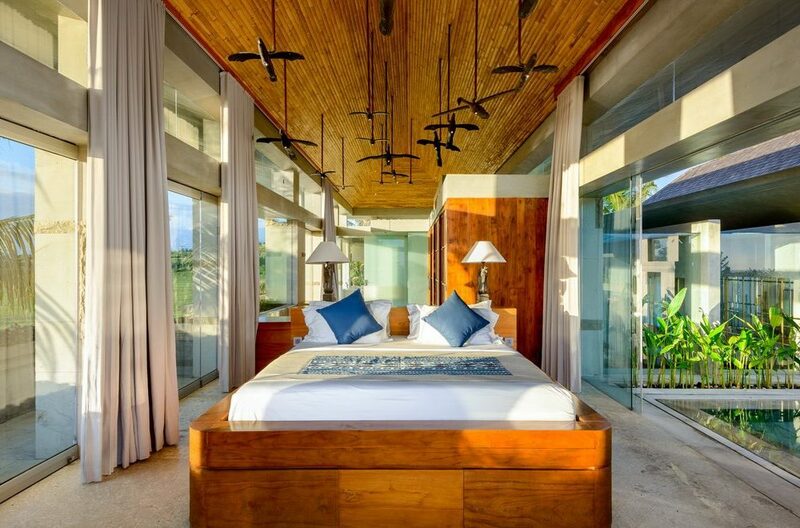 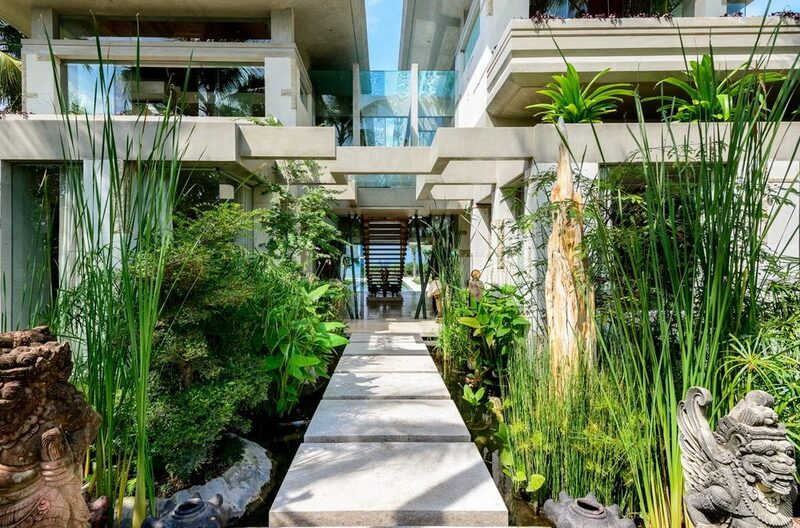 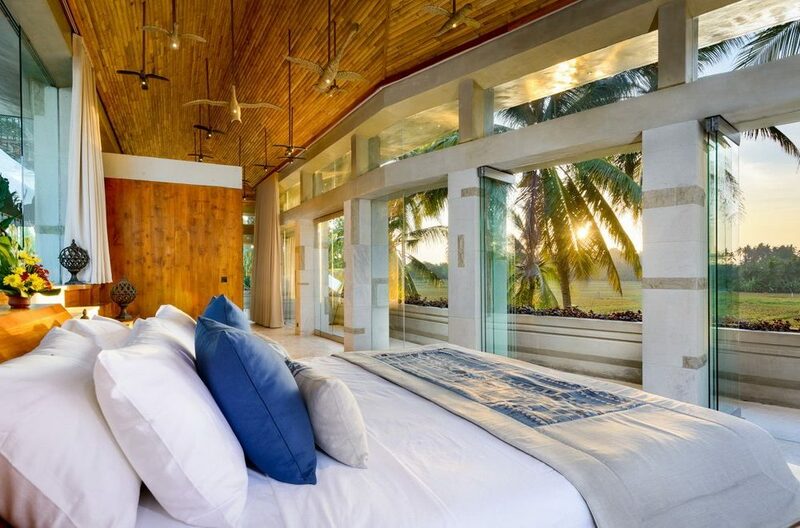 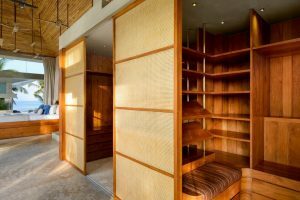 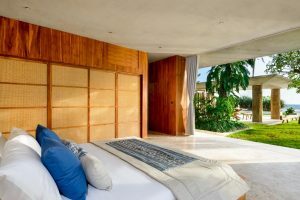 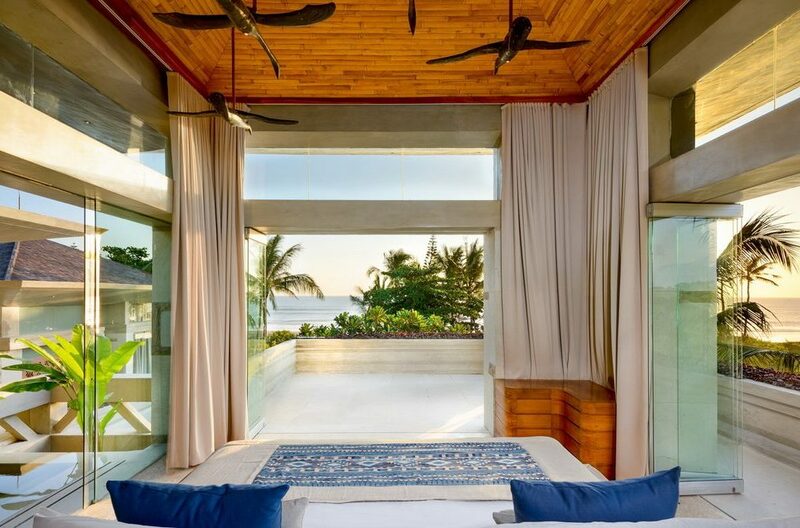 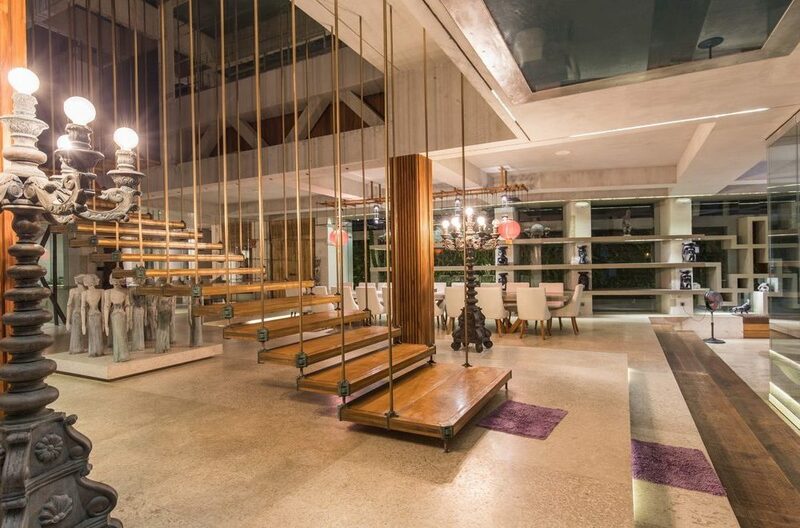 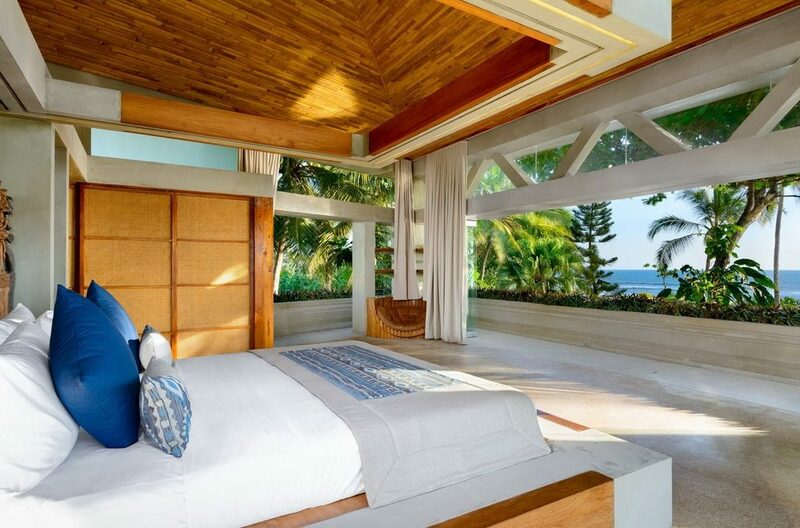 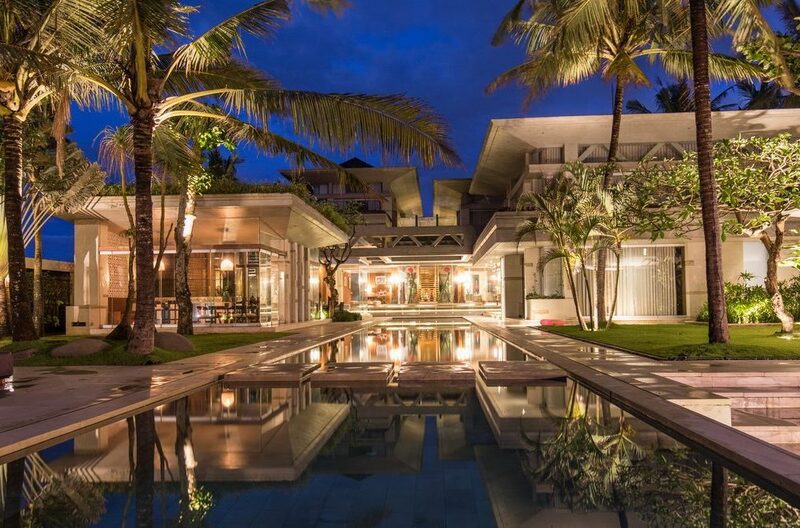 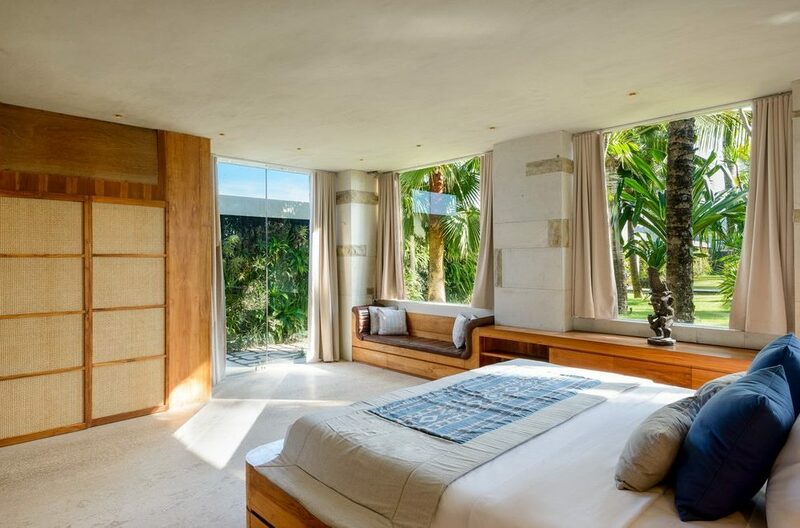 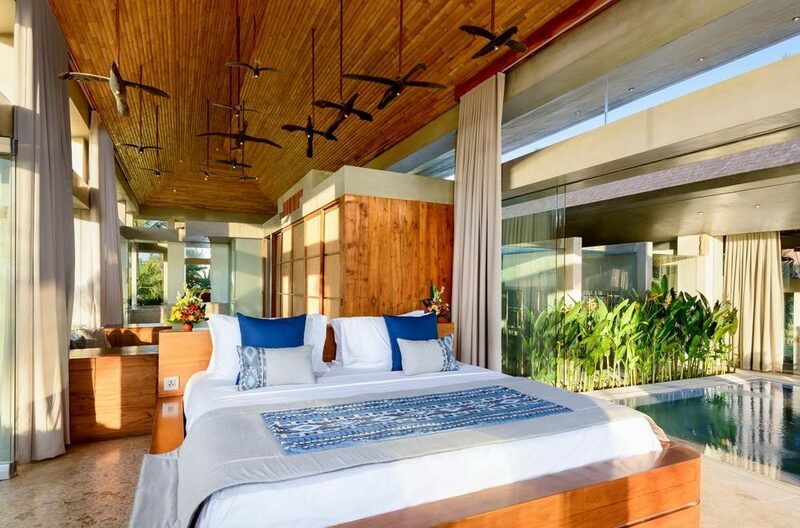 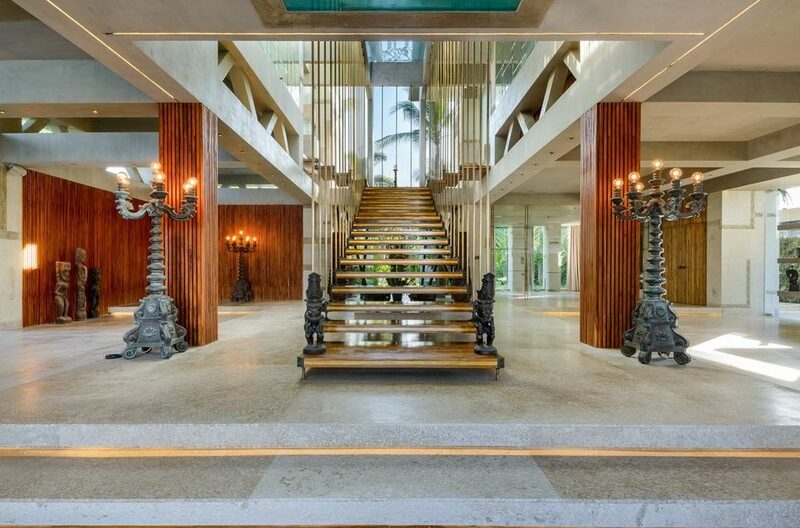 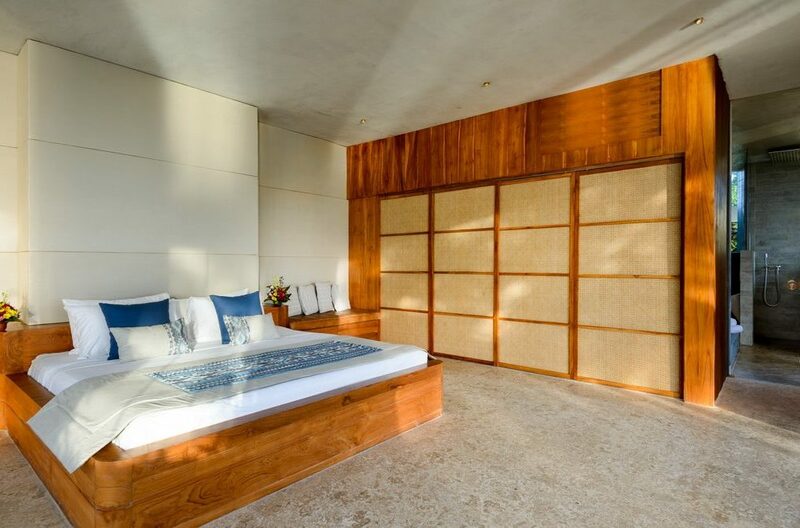 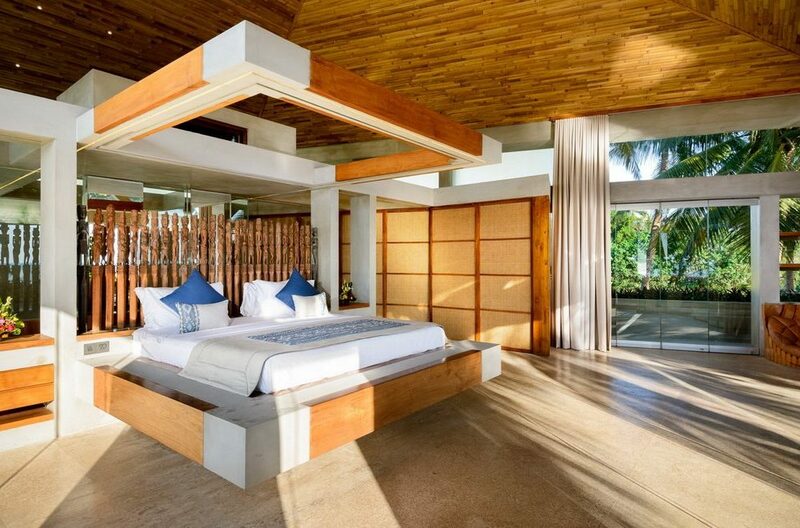 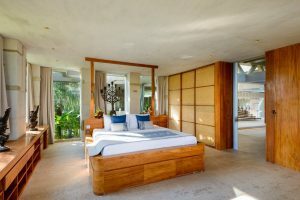 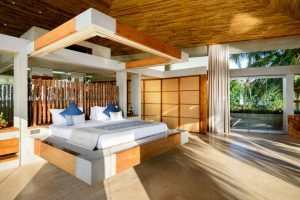 The five bedrooms of Villa Vedas are so gorgeous. 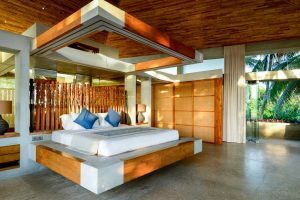 They all boast of a king bed, sofa, ample space, stunning sea views, beautiful works of art, ensuite bathroom and lovely wooden furniture. Guests are sure to feel very comfortable here. 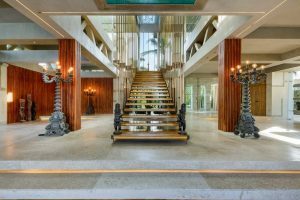 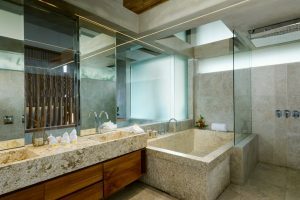 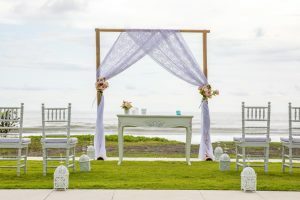 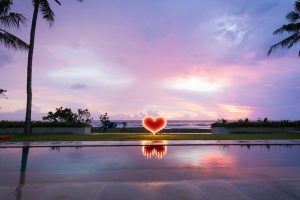 In addition, guests get to enjoy daily breakfast, housekeeping, the services of a butler and pool attendant, and a Finns Club platinum membership for the duration of their stay. 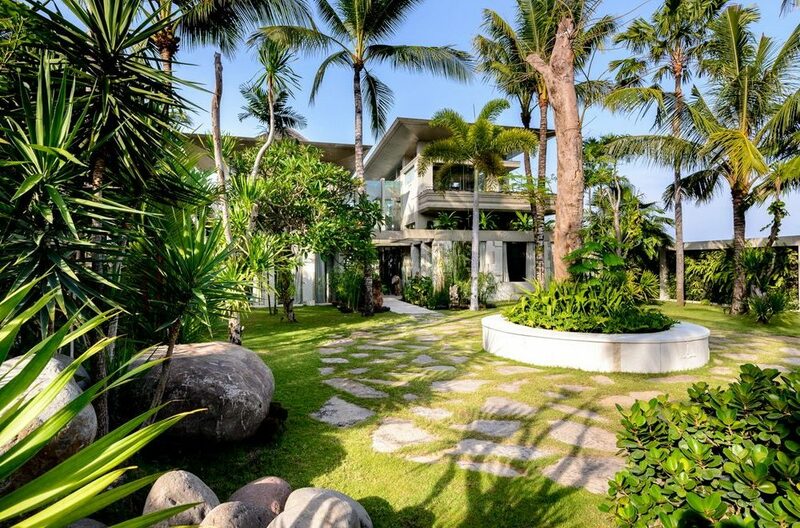 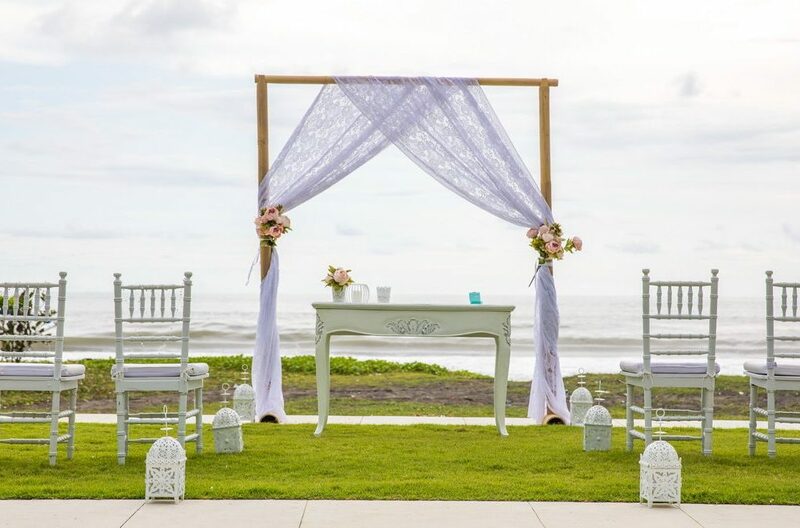 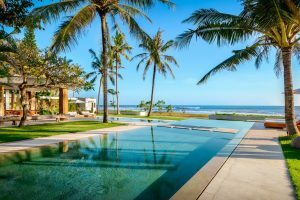 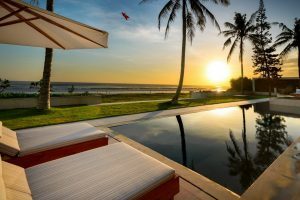 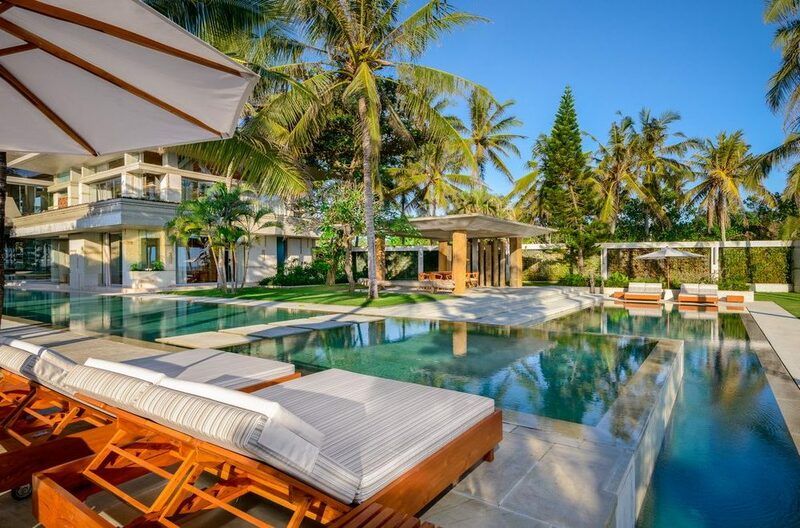 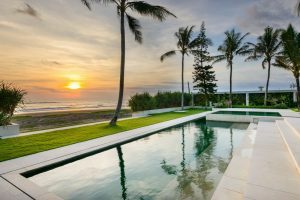 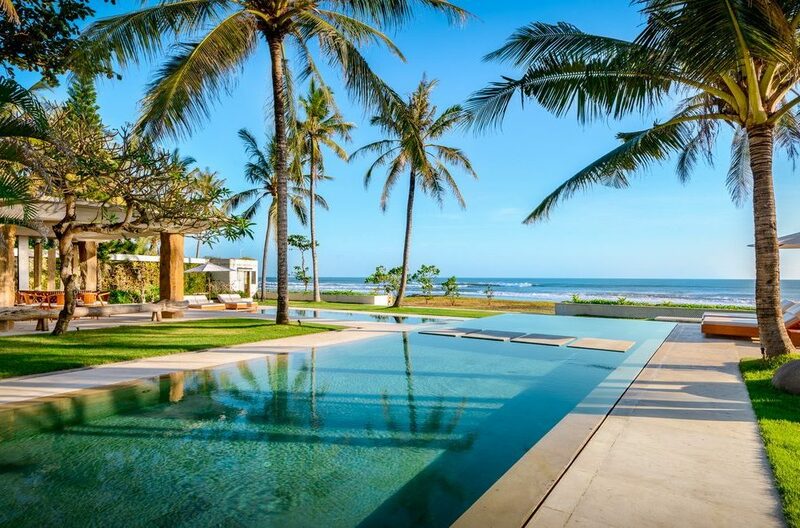 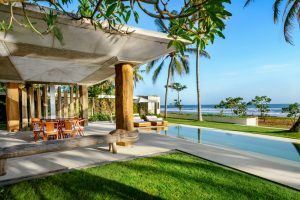 Villa Vedas is located just by the beach and so guests will surely enjoy swimming and surfing on the ocean. Finns Club is also within proximity and there, guests can find cafes, bars and restaurants where they can relax at. 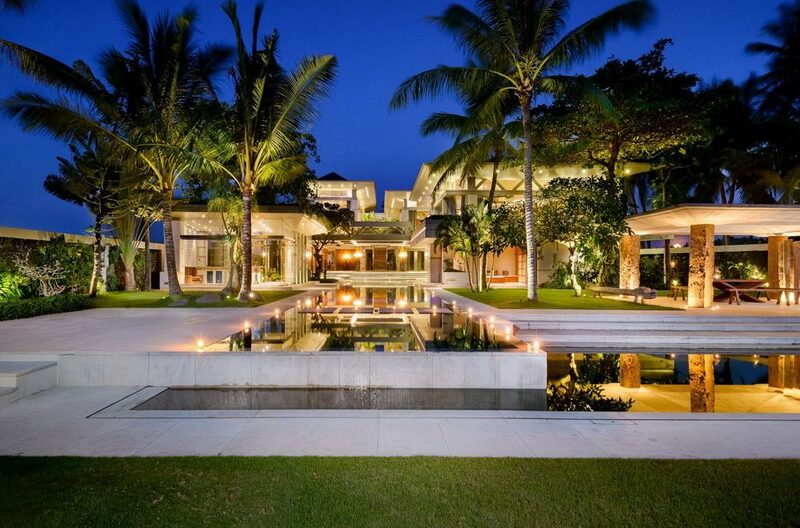 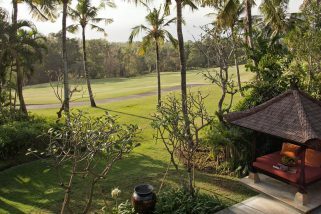 The location of the villa ensures that guests always have fun options for what to do while on holiday in Bali.